Interview with Dmitry Plushchevsky, the founder of the blockhain-based lending platform GoldMint which wants to revolutionize the microloan market and give people a second chance. When Dmitry Plushchevsky, the founder of the blockchain-based platform GoldMint, asked me to discuss his project, I honestly did not respond at first, as nowadays spamming on the Initial Coin Offering (ICO) topic turned into a kind of a trend. But Dmitry was persistent, and I checked their website. I couldn’t understand a thing from what they wrote there, but I saw familiar names in Advisers tab – Igor Ryabenky, Yulia Zegelman and Eduad Gurinovich. Among them was also Mr. Martynov – one of the first investors of Vitaliy Buterin. I asked the some of them who I knew personally – what kind of people they were, and what kind of project they had? They told me that the guys are very on point and have very impressive achievements. Everything was fine, except for one thing – I did not understand what the project was all about. And then I asked Dmitry to talk with me briefly for about 15 minutes. I wanted to try to understand straight off what they are working on, what they are selling, and how this will affect my life and the lives of other 8 billion people. Guys do very cool stuff. When I say this, it means that it’s cool from business point of view, it’s also very reasonable and profitable, even without using any blockchain technology. 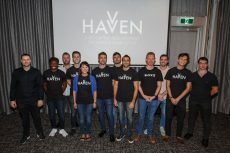 But the fact that they use blockchain enhances the benefits of the project, and provides unique opportunities to change the very paradigm of the micro loan market. Guys did not know how to explain these benefits to the people, and delved into some technicalities. Therefore, I decided to help them communicate the main message to people, which gives this project a chance to take one of the leading roles in the market. But before I tell you the most interesting stuff, I’ll explain why I’m doing this. So that no one would be suspicious. Many people get into difficult situations, and getting a small loan is sometimes the only way to survive hard times. But for various reasons, these people cannot go to the banks, they simply will not get a loan. Then these people go to various microfinance agencies or mortgage lending networks, which are simply called pawnshops. This is a very old, conservative, mundane and, at times, criminalized business. However, despite all its peculiarities, only this business gives the chance to the huge number of people who have been cast out by the system. So, the technology that the GoldMint team introduces to this social market is a revolution, similar to the invention of the phone. And I am interested in supporting all projects aimed at development. I believe in what they create, but what to make of it is up to you anyway. Below is the transcript of the conversation wth Mr. Plushchevsky. Dmitry, tell us a little about yourself and how this idea came to your mind? I have been in IT business for 20 years, and despite the fact that I’m only 36, I have been engaged in development and management of various projects for a long time. For the last few years I have been working at the venture fund Typhoon Digital Development, where I was engaged in the development of many projects, including the NtechLab Starttrack crowd funding platform. In 2015 I began to study the lending market more profoundly, and then pawnshop business drew my attention. I was surprised at how profitable , and at the same time how void of technology it was and how much profit could be derived from this. By 2016, I assembled a team of people with tremendous experience of working with real gold. Together we identified 4 main issues which pawnshop market faces every day, and began to solve them. Our final goal was to revolutionize the pawnshop business and implement a kind of peer-to-peer lending network, when a citizen of one country, with the intermediation of any organization or platform, can lend a citizen or even a group of citizens of other countries money on pawn. When we started working, the first issue we faced was the realization of unclaimed pledges. We solved this by creating a company “Lot-Zoloto”, which has turned into a very profitable independent business with a turnover of about $ 10 million per month just within a year. So, after you immersed into the pawnshop business, you came up with an idea to create a rather profitable pawnshop business, to strengthen and improve its efficiency with the help of information technologies? Quite right. The pawnshop business, before we started, lacked information technologies as such. Of course, computers were used as a calculator, to count who owed whom and what amount. And, having seen the possibilities of introducing technologies that would increase the efficiency and profitability of the business, you proceeded to introduce them. So why exactly your ideas are innovative for the pawnshop business? For example, to solve the problem of the rapid reclaim of unclaimed pledge at the time when a loan default occurs (in order to be able to re-issue a loan), we introduced a new business model. We began to accept the unclaimed pledges from the pawnshops under different conditions, and evaluate them in a different way, we approached this process more carefully and created a certain service. As a result, currently 140 pawnshop networks around the country collaborate with us. But to solve another task, which we are working on right now, we indeed created an innovative product – a payment system for pawnshops, including a specialized bank card “Bogatstvo” (eng. “Wealth”), which is handed to the client in the pawnshop and the loan is deposited to the card directly. Of course, he can ask to transfer the loan to his own card, but the money will not be transferred to it immediately (usually it takes from 2 hours to 2 days), which in case of pawnshops is not suitable – a person leaves his belonging as pledge and most often he needs the money right away. That’s why we introduced a special prepay card “Bogatstvo” (MasterCard), which is issued in a pawnshop and money is transferred to it instantly. You can withdraw money from it without commission at ATM of any bank in Russia, and also pay with it like with any other card – in a store or online on the Internet. This card is approved by the regulator and now many pawnshops and even large pawnshop chains are migrating to it. This is an innovation in pure form, since no one has done this before. As I understand, the use of your card will not make any fundamental changes to the usual work of the pawnshop. You are an issuer, the provider of this card, which provides this service. The benefits of using it are obvious to customers, but why is it necessary for owners? This question brings us to the third issue of pawnshops. The issue is that the pawnshops are very difficult to issue credit to, because, as an entrepreneurial entity, they are extremely non-transparent due to the turnover of cash that is not actually accounted anywhere, and the pledge items that are in the pawnshop are not considered a legal property of the pawnshop. At the same time, the pawnshops are in dire need of the credit money. In Russia alone the portfolio of pawnshops (the collateral value of things in pawnshops) amounts to $1 billion and, naturally, in other countries it is not too small either: in Spain – $3 billion; in Great Britain – 6 billion pounds. This is a colossal amount! Thus, we are launching the 3rd product – pawnshop crediting. This is the essence of GoldMint project. Initially, we conceived GoldMint as a pawnshop crediting system. So that any person, for example, from America, could transfer to our account a certain amount of money, which we, in turn, could distribute between Russian, Spanish, Chinese pawnshops, where they reach the end user and return to the original creditor with guaranteed interest. To lend to the pawnshop in this way, we need to provide tracked non-cash transactions, because we want to see what is happening in the said pawnshop. Actually, this is the original concept of the GoldMint. Okay, I see that pawnshops have a constant need for funding, which they are often denied mainly because of the lack of non-cash transactions that would allow them to assess the business they are lending to. Your card gives them the opportunity to display cash flow on the accounts, thereby making them more transparent to creditors. As I see it, not only the bank can be the lender in this case, but actually anyone. So it turns out that you connect pawnshops and those people who are ready to lend to them? Absolutely. This is what we are going to do. And there is another problem – the bank that issued the loan is obliged to undertake a permanent audit of the collateral to make sure that they are real. It’s simple, Custody Bot is an mechanism that automatically catalogues stored pledges. It’s a kind of, an automated safe, with a spectrometer inside – a device for analyzing metal. Most large jewelry and pawnshop networks use spectrometers in their central offices. In addition, Custody Bot is equipped with a system for transporting jewelry from the receiving tray directly to the spectrometer itself. After the assessment of the product by a spectrometer (the accuracy of which is about 70%, due to the impossibility of diagnosing the core of the product), it is sent to the hydrostatic balance, where, using the Archimedes law, its density is determined (by successive weighing in the air and liquid). Based on density, the core of the product is evaluated, and therefore the evaluation errors are reduced. At the end of the evaluation, the manipulator places the product in a special cell for storage. All calculations necessary for the evaluation are run by the built-in computer, which also hashes the sum based on the weight and sample data of the product and sends it to the blockchain. If later the merchant is required to return the pledge back to the client, he will need to enter into Custody Bot an individual number that is assigned to each item at the time of evaluation. The robotic transportation system will return a pledge to the merchant, while sending to the locker information about the reduction of gold amount in the storage. As I see, you have divided the acceptance function and the storage function. Does the assessment take place at the acceptance stage? The primary assessment is made by a commodity expert. The Custody Bot, created by Air Lab, is conducting an assessment to transfer data to the blockchain. 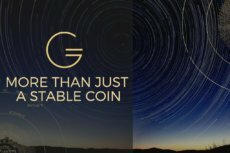 Why is GoldMint using blockchain? First of all, the blockchain solves the problem of trust in systems. How can you guarantee your investors a return on investment? In this case, the guarantor of the return of funds is Custody Bot, an autonomous robotic storage connected to an autonomous decentralized processing. These two functions reduce the risks of obtaining false information, in addition reducing the likelihood of fraud for us. The presence of physical gold in Custody Bot already guarantees a return of funds: either the owner will reclaim it, or it will be sold as an unclaimed pledge. In each of two cases, we will return the money to ourselves and to the investor of the project. What are your best plans for the future? One of the next generations of Custody Bot will operate in retail, on the street. A new generation of pawnshops in the form of vending machines will appear at each gas station. And the next step will be the home Custody Bot, which will allow you to evaluate the gold items while storing them at home. That is, I can pledge my valuables without leaving my house? That is, this gold is not used and if technology will be capable of bringing this 30 thousand tons into turnover, that this amount of gold really exists … I think everyone here can imagine the outcome. Getting back to our topic, tell me more about the use of blockchain technology. Initially, we needed a certain “transport” unit for moving values from one person to another and measuring them. We basically did not want to use the dollar – it does not inspire confidence in us. An ounce of gold was selected as a “transport” unit, that is, a digital token, tied to the value of gold. When we started to talk about this and consult with blockchain specialists, they opened our eyes to the big problem of the crypto community: the creation of a real, secure, stable currency. In addition, at the moment there is a problem of direct exchange of Fiat to the crypt, because there are many types of crypto currency, and each of them needs an accounting decision on the possible consequences and so on. The solution to this problem will be the creation of stable coin, because it is much easier to teach banks to work with one stable crypto currency, which they will not be afraid of. And only then, after changing their Fiats and dollars to Gold’s, which are basically crypto-tokens, you can go to the exchange and change them to any crypto currency. Thus, our project is also a bridge between the fiat and crypto currency, which enables banks to operate with a crypto currency. List the main benefits of GoldMint. Hedging of risks due to stability. Quick blockchain system for payments. The bridge between the Fiats and crypto-currencies. It is these features of our project that give us all chances to become a starting point for the new crypto-world, especially given the established confidence in the Russian in this area. Tell me about the functions of the token – how can a person use it? How can its liquidity be ensured? Our system has two different tokens. Crypto Asset Gold is a token tied to the value of gold, which we sell only for a fiat currency and earn money to buy gold. And since we are still launching our own blockchain, we need the processing power. To somehow motivate the miners to provide us with these capacities, we are releasing 10 million MNT tokens with full pre-emission. All transactions in our system get into blocks that close every 4 seconds, so the estimated speed is 100,000 operations per second. These blocks must be approved by someone. In the usual proof-of-chain projects, the miner is chosen on the contest basis, so great processing capacity is required. We have a different approach – each owner of MNT tokens is guaranteed to receive commission for approval of each transaction, according to the number of MNT tokens available in it as a percentage of the total number. Roughly speaking, the buyer of MNT, in fact, buys the right to receive rewards for transaction mining, so that’s something like a regular income? Yes, but only if he provides us with a service to authenticate the transaction on his computer, through his Internet connection. Today, the concept of “miner” has already been discredited enough, so I will say right away that in our case you’ll only need to have a home computer with our blockchain wallet, tied to MNT. The commission fee for the transaction is 0.3%. Miner who approves the transaction receives 75% of the commission amount. The remaining 25% are divided into 2 parts: 12.5% is our income, the remaining 12.5% goes to charity. Owners of MNT choose charitable funds, which will receive these funds, through voting. Let’s return to the GOLD tokens. When people buy GOLD tokens for a fiat currency, 100% of this money goes for gold. What is the source of transactions – transactions in pawnshop networks? No. Sources of transactions are payments within the blockchain itself. 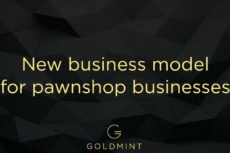 Is it true that with the sale of GOLD tokens you are solving the problem of funding pawnshops? The primary goal of GOLD tokens is not to fund pawnshops. However, if the owner of GOLD Tokens is interested in extracting additional profits, he can transfer them to us in trust management. At this point we have liquidity, which we are sending to the pawnshop. What types of tokens will you be selling during the ICO on September 20, 2017? Only MNT. We are planning to initiate the blockchain and, accordingly, the turnover of the GOLD tokens, in the first half of 2018. This type of Token is absolutely stable and tied to the price of gold, which is why it is not subject to rapid changes in value. In turn, the MNT Token, which gives the right to approve the transactions of GOLD tokens, allows you to receive a reward for this action. In spring of 2017, we held an ICO pre-sale and accumulated 600,000 dollars in 36 hours. Among our advisers and early investors are well-known representatives of the financial world and the venture industry. In total, we plan to sell 7 million MNT tokens at a price of 7 dollars. As for today, we already have more than 3000 applications for participation in ICO from people from all over the world. Alex Krol - Entrepreneur, writer, educator. Founder of Serendipity University Project. Blockchain & Startup growth expert. EdTech, and Media entrepreneur, Ph.D. (c) Psychology, M.S. Electrical Engineering.